This is the Capricorn beetle (Cerambyx scopolii, "mindre ekbock" in Swedish). A longhorn beetle that requires dead trees (mostly oak) for its existence. 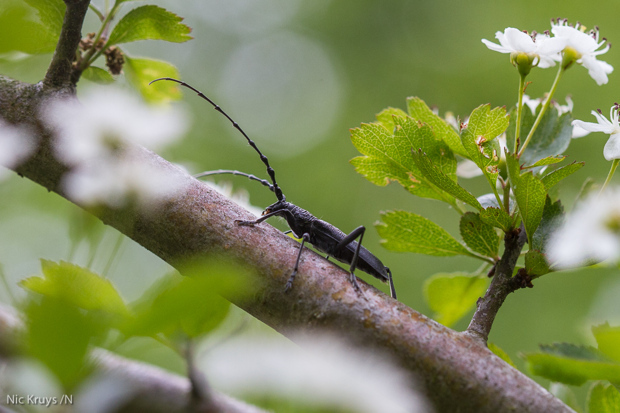 Its larger cousin, the Greater Capricorn beetle (C. cerdo, "större ekbock" in Swedish) is considerably larger and is very rare in the Nordic countries, only known from one nature reserve in the island of Öland. I have never seen the great Capricorn beetle, but traces of its larvae can be seen on the enormous oaks at Halltorps hage. 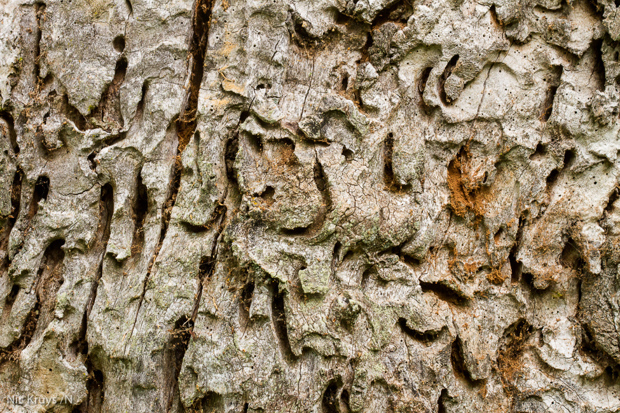 The larvae bore holes into the wood in all directions. The oaks are hundreds of years old. Some of these holes are probably decades old, if not centuries!